The reduction in emissions of nitrogen oxides (NOx) from the exhaust gases of diesel transport vehicles is a topical issue. 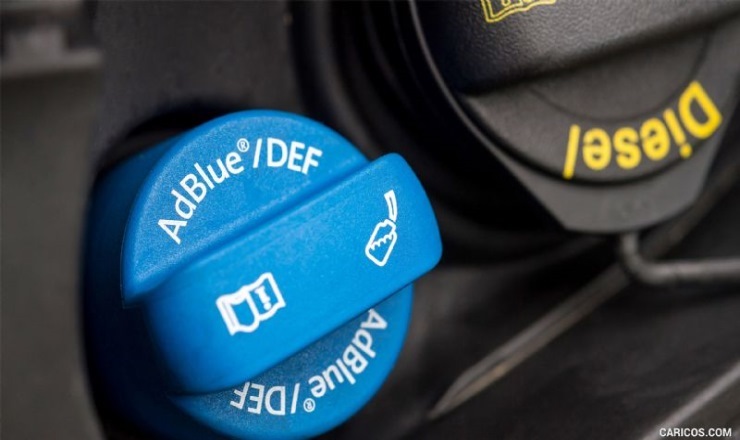 AdBlue® was developed to meet the limits imposed by the standard Euro IV , V and VI and it is a registered trademark of the German association of the automotive industry (VDA) for AUS32 (acqueous urea solution 32.5%): an additive that converts the harmful combustion gases NOx into harmless substances such as water and nitrogen. As the name suggests, this is a solution made with 32.5% high quality technical urea and demineralized water, used in the SCR technology (Selective Catalytic Reduction) for vehicles powered by diesel engine . The international specification ISO 22241 strictly details the quality standards and AdBlue properties. The IVG R&D department designed Ivgblue 10-20 to meet the growing market demand: an extruded hose suitable to convey urea based solutions. The IVG flexible solution preserves the properties of the fluid conveyed and the Cerisie analysis certifies that the additive is not affected by any contamination during the transfer inside the hose, as defined by the ISO 22241-2 Analysis method ( RP. N. 273/2014). The tube is sulphur free and antistatic (R < 1MΩ/m), and the cover has the same resistance value. Ivgblue is available with working pressure of 10 bar and 20 bar. For any additional information, please consult the data sheet published in the IVG website.